Cartoonists on each side of an Iranian-Saudi diplomatic dispute are highlighting what they perceive as the other's double standards. The confrontation over Riyadh's execution of a prominent Shi'ite cleric has sent tensions between the regional rivals soaring. Nimr al-Nimr's execution on terrorism charges on January 2 led to angry protests in Iran, including an attack on the Saudi Embassy that prompted Saudi Arabia and several of its allies to cut or downgrade ties with Tehran. 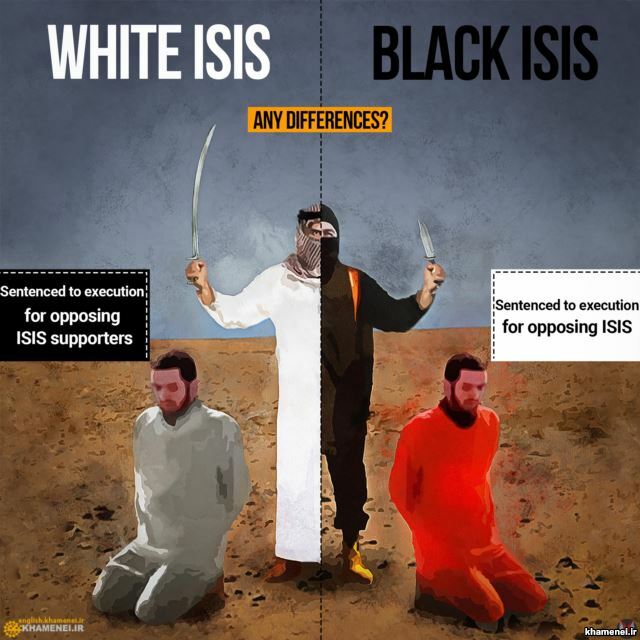 In this sample of cartoons, the predominant Saudi view could be summed up as: "Iran opposes Islamic State while fueling terrorism," and the Iranian view as: "Saudi Arabia claims to fight Islamic State while executing innocents, just like IS." 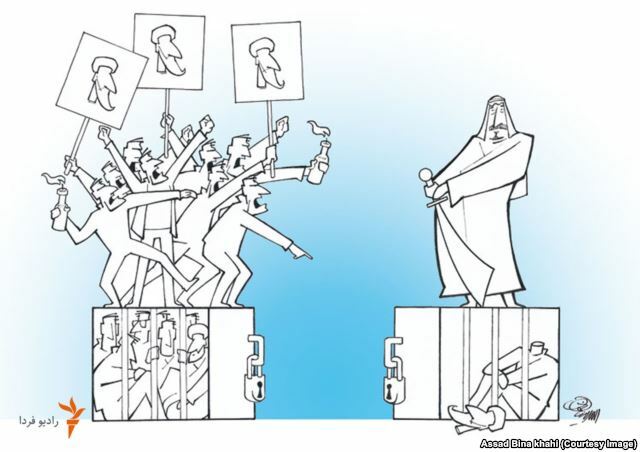 …while this anti-Tehran cartoon puts Baghdadi under the same turban as Khamenei.